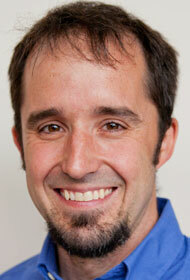 Stefan Debbert calls it a “transformational” approach to science education at Lawrence University. The chemistry professor will direct a new initiative designed to significantly change the way Lawrence teaches many of its introductory natural science courses. Lawrence was one of 33 schools in the country selected for a $1 million grant from the Howard Hughes Medical Institute to implement its Inclusive Excellence Initiative. The program’s aim is to catalyze schools’ efforts to engage science students of all backgrounds and identities. Lawrence and the other 32 schools selected for the program this year join 24 schools that were chosen in 2017. “This initiative is about encouraging colleges and universities to change the way they do business — to become institutions with a significantly greater capacity for inclusion of all students, especially those from nontraditional backgrounds,” said HHMI President Erin O’Shea in announcing the grants. As its name implies, the program is targeting “the New Majority” — underrepresented minority, first generation and low-income students. Recent efforts on Lawrence’s part have significantly increased its number of New Majority students, leading to a re-examination of how its policies and resources support those students. “It’s called the Inclusive Excellence Initiative because data suggest some groups are being excluded,” said Debbert, associate professor of chemistry and Lawrence’s HHMI project director. “We want to make sure students stay in our science ‘pipeline.’ To do that, we’re looking at a fundamental shift in how we teach. Lawrence will use the grant, which will be allocated over five years, to “fundamentally change” the way each of its large introductory courses in biology, chemistry and physics are taught. Lawrence’s first step in the initiative will be transforming a large, tiered lecture hall in Youngchild Hall into a “science commons” with small group tables and built-in technology so students can share work with each other more easily. Over the next five years, Lawrence will add visiting faculty members who specialize in modern science pedagogy for two-year appointments. These positions will be created in the biology, chemistry and physics departments. 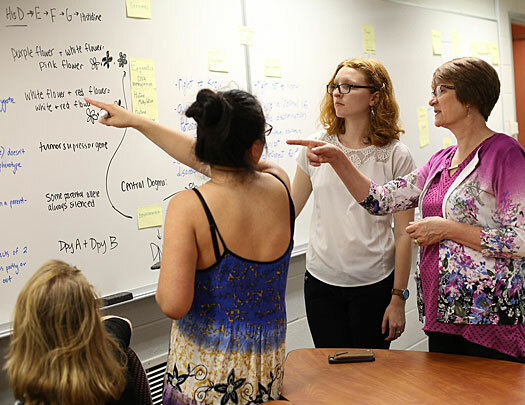 Professor of Biology Beth De Stasio (right) has tested some of the inclusive education practices in her genetics class that Lawrence will incorporate more broadly through the Howard Hughes Medical Institute grant. To further support students in these introductory science courses, Lawrence will build on a successful program in their introductory biology curriculum by developing and implementing peer-led learning groups for introductory courses in chemistry and physics. These groups will help students develop skills and strategies for success in coursework, and will lead to more connections and cohort-building among students and a more inclusive learning environment for all students, particular those from underrepresented groups. In addition to these programs, Lawrence will bring outside speakers to campus to conduct seminars for the faculty and staff with a focus on how to teach more inclusively. Additional personnel will be added to the office of research administration to gather more data to assess project progress during the grant period. During the two rounds of selection in 2017 and 2018, HHMI received applications from 594 schools of which 140 were invited to submit proposals for plans to develop more inclusive environments for their students. Some challenging, and eye-opening, conversations with students two years ago led Lawrence University choral director Stephen Sieck to some more introspection regarding his approach to teaching and concert program selections. That self-reflection resulted in a recently released book, “Teaching with Respect: Inclusive Pedagogy for Choral Directors” (Hal Leonard, 2017), which examines deep questions about the language we use, systems of power and our heritage and inheritance. 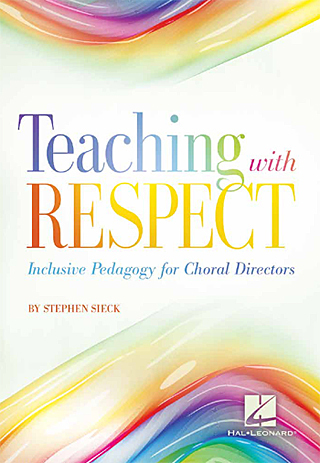 In “Teaching with Respect,” Sieck looks closely at teaching strategies and how everything from instruction to repertoire choices intersect with singers’ identities, their learning abilities, gender, sexuality, religion, ethnicity and race. He advocates an ethical approach to teaching choral music that is centered on respecting the singers each singer as a human with a distinct set of experiences. With some form found in every culture in the world, Sieck calls choral singing “the most natural way to build community and share an artistic or spiritual experience in any culture around the world,” which underscores the importance of how it is taught. Despite its subtitle, Sieck says the book’s lessons apply broadly to all educators. Sieck is co-director of Lawrence’s Concert Choir and Cantala women’s choir, both of which performed at the 2014 American Choral Director’s Association North Central convention. 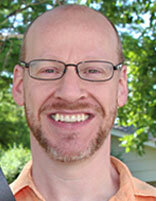 He also directs the Viking Chorale, which performed at the 2015 Wisconsin Choral Director’s Association convention. 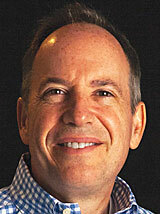 A former professional singer in Los Angeles, Sieck earned a bachelor’s degree in music from the University of Chicago. 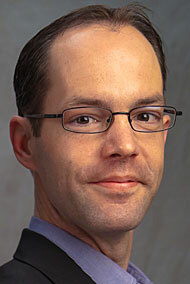 He also holds a master’s degree and doctor of musical arts degree in choral conducting from the University of Illinois. He recently finished a second, yet-unpublished, book that profiles eight of the best university choral programs in America. Through case studies, he examines what makes them so consistently successful and offers applications for teachers everywhere.